Since I had a pork tenderloin roasting in the oven this afternoon, I decided to tackle a few of the items that can be made on the stovetop: toffee and fudge. The Christmas Crunch is an almond toffee that I’ve been making since 1998 (based on the date on the Good Housekeeping magazine I got it from!). It’s simple (as far as candy-making goes), and it absolutely amazing. When/if i ever open the Wendalicious Shop, it will be one of the items I sell. 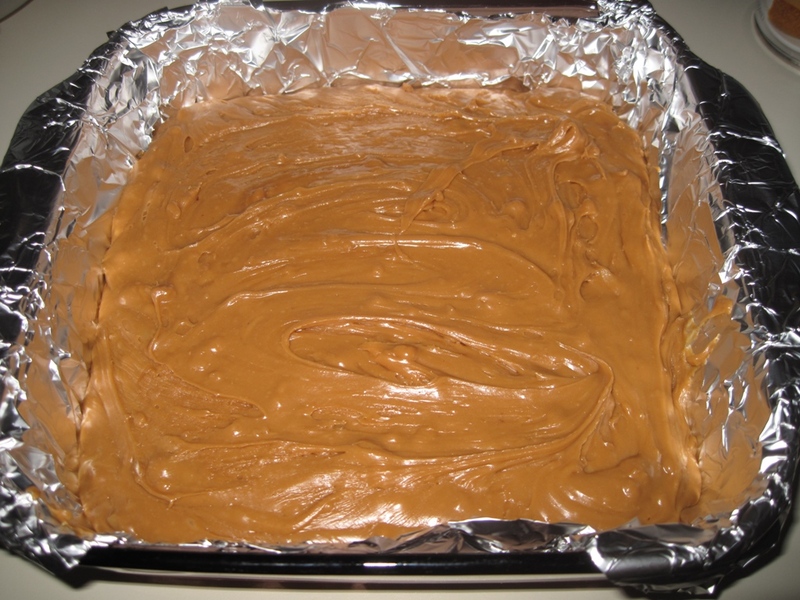 I always make a ton of fudge, because it’s so easy and everyone seems to enjoy it. Of course I make the regular plain fudge, and plain with walnuts. 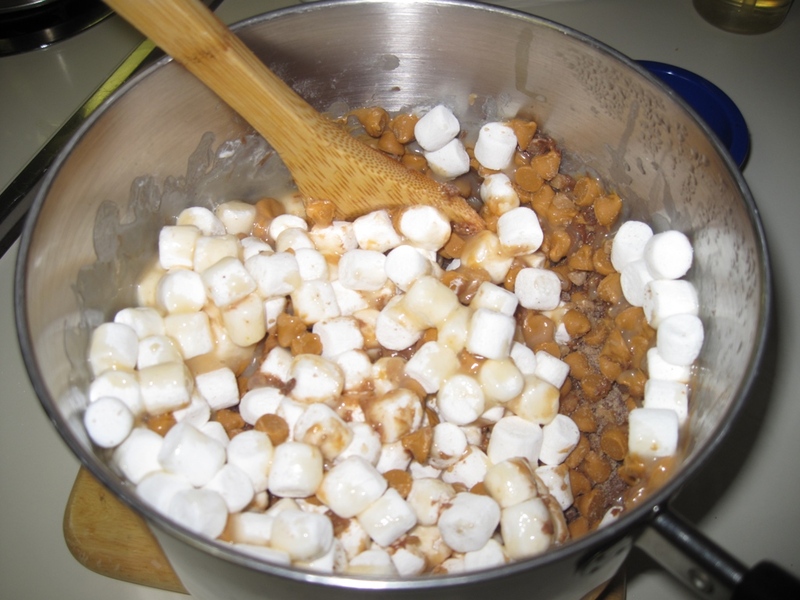 A few years back I was experimenting (as I am wont to do), and dumped some leftover Heath Bar bits into the butterscotch fudge I was making. My friend Chris (of “Marlene and Chris” fame) said it was the best fudge he’d ever had, and thus a new tradition was born. It really is quite fabulous, if I do say so myself. 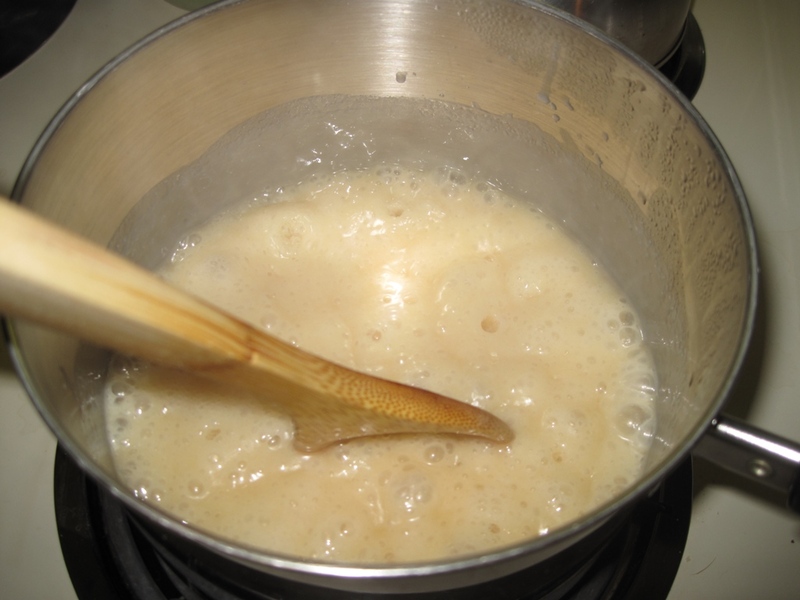 Stirring together 2Tbsp butter, 1 1/2 cups sugar, 1/4 tsp salt and 2/3 cup evaporated milk over medium heat. Boil for 4-5 minutes. 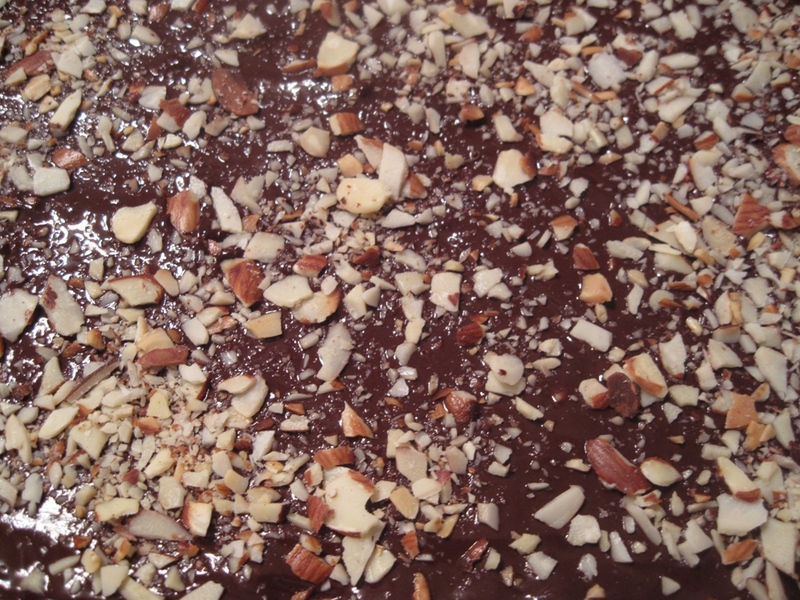 Pour the fudge into a foil-lined 8x8 pan, then place in the fridge to firm up. I had a fudge revelation today – much in the same way I created the Butterscotch Toffee Fudge, I invented Vanilla Ice Cream Cone Fudge. Vanilla Ice Cream with Rainbow Sprinkles is my all-tie favorite summer treat, and I thought it would translate well into the holiday fudge milieu. I happened to have bought white chocolate chips, so I substituted them and then added rainbow sprinkles to the mixture before pouring it in the pan. I cannot wait to see how the experiment turns out. This particular recipe is very amenable to variations, and you can substitute just about any kind of chip or nut, to suit your taste. 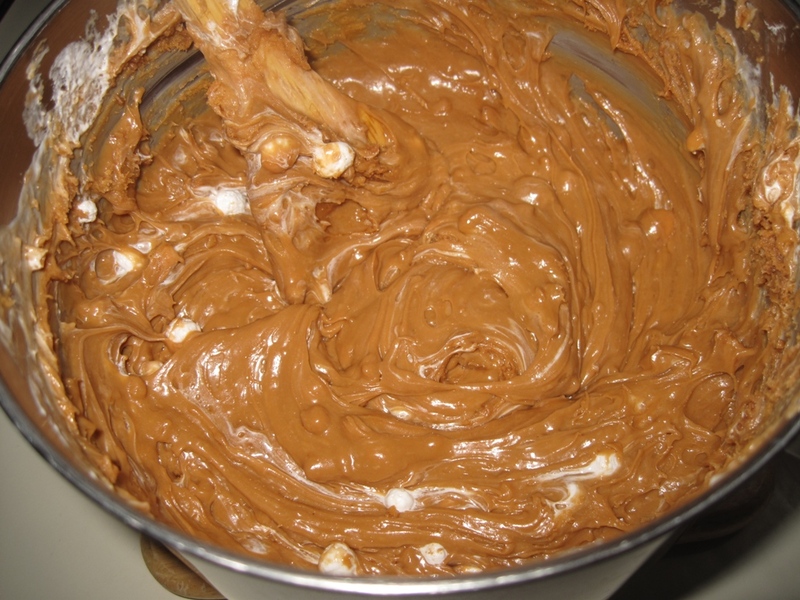 If you’ve ever made fudge, or any other kind of candy, you know it makes a sticky, sugary mess. 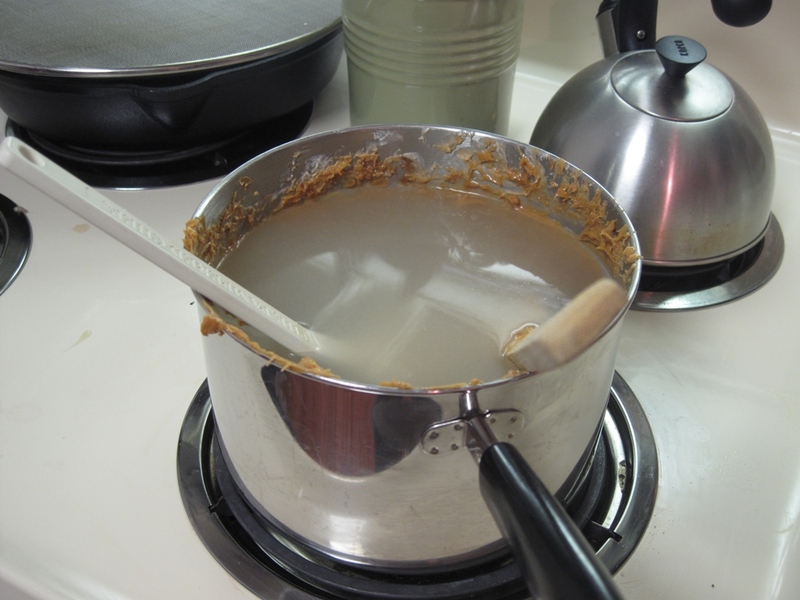 So, I am including here a handy tip for cleaning up the candy pot – fill it with water, throw in the spoons and spatulas, boil, and pour away the mess. Sugar only melts in a heated solution, so this is the easy way to get that pot clean again – no scrubbing necessary! I will post recipes and photos as I continue my baking over the next week. I’d love to know what (if any) holiday baking you do. I’m particularly interested in finding a good fruitcake recipe – I think I may be one of the only people under 40 who actually enjoy fruitcake. I guess that pretty well sums me up. Last year I made pumpkin white chocolate chip muffins and got nothing but raves about them. Of course I bought boxes of pumpkin bread mix, added white chocolate chips and baked ir in muffin tins. I know that if you want to try this you’ll actually mke it from scratch, but I’m not much of a baker so I’ll stick with the mix! Those sound really really good! I don’t think I would have thought to add white choc chips to pumpkin…. Vanilla ice cream fudge sounds great-want to share the recipe? As for your offer to take some of your baked goods off your hands (since you do love me!) I am quite partial to anything peanut butter, that butterscotch fudge sounds yummy, I love russian tea cakes, coconut macaroons and I really love shortbread cookies. So, that’s my order. If you have samples of the vanilla fudge, add that to my request. You are a fantabulous baker. @Aunt Claire – see my next latest post for the Vanilla Ice Cream Cone Fudge. Also, I will return your pie plate to you, filled with baked goods – ok?